Countless bands and musical acts have performed at Sea Monster Lounge in Seattle’s Wallingford neighborhood. Tonight (Wednesday, November 8), a new radio show turns the spotlight on those performers. 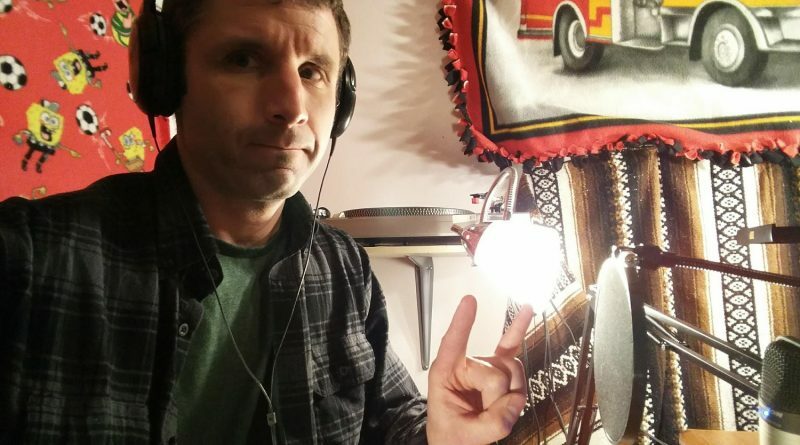 Sea Monster Radio will broadcast live at 8:00 pm on KBFG 107.3 North Seattle (Ballard/Fremont/Greenwood), and stream online at KBFG’s website: http://fulcrumcc.org/listen. If you’re in Seattle, you’re invited to a launch party tonight at Sea Monster Lounge, where you can hear the show over the club’s PA system (there’s no cover charge!). Sea Monster Radio host and Seattle music insider Mackenzie McAninch shared more about the show’s unique format and mission. NWMS: There are so many radio station shows in and around Seattle. What sets Sea Monster Radio apart from the others? first seem limiting that I’m “only playing Sea Monster musicians,” it can actually spread quite far. NWMS: How often will Sea Monster Radio air? MA: Probably once every three weeks or so for now, but eventually more frequently. I hope to get to once a week at a point in the near future. NWMS: Your show, Sea Monster Radio, debuts this Wednesday — tell us more about the format. MA: I’ll primarily be playing music off of albums. But there will be a few tricks thrown in there too. One of those being that we’re going to debut a song this week from a band based primarily out of England who has no album and barely a web presence yet. If you listen to the show though, you’ll understand why we’re playing it. NWMS: Any hints about guests for the first show? MA: No guests for the first show. I’m still getting down the feel and flow of the show! I’ll have guests in eventually though for interviews and possible live performances. NWMS: What types of guests are you looking for? MA: Anyone who has in the past or will be playing The Sea Monster in the future! NWMS: Can people suggest topics/guests? Sea Monster Radio is also in negotiations with Seattle Wave Radio and Rainier Avenue Radio World about broadcasting the show also so keep an eye out for that news!